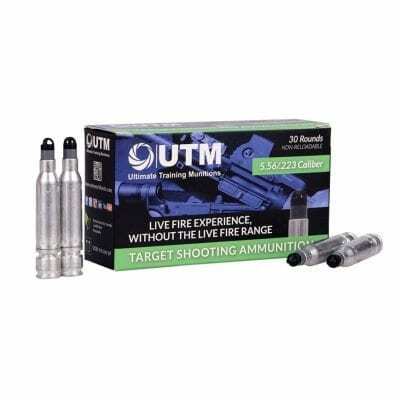 UTM 9mm Target Shooting Ammunition is compatible with all UTM semi-automatic pistols. 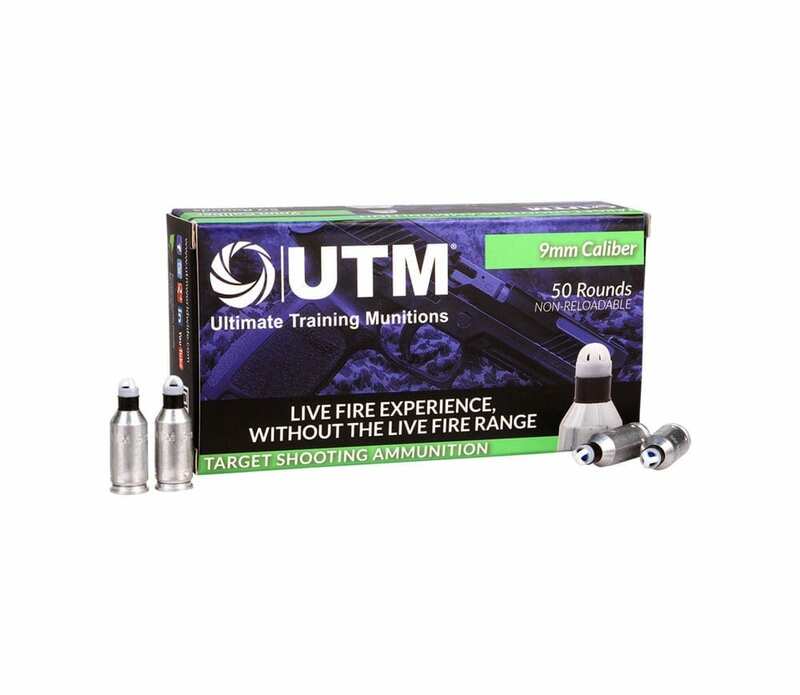 UTM products are a safe, reliable and accurate alternative to live ammunition- ideal for beginners, recreational and competition shooters. 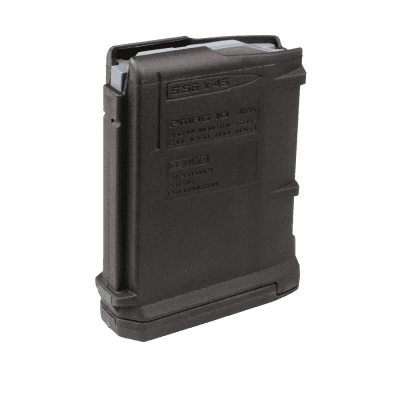 With lower velocities and projectile weight, the UTM 9mm Target Shooting Ammunition is designed for complete safety and reliability. This enhances target practice without the need for a range and free from live fire restrictions. The UTM Target Shooting Ammunition utilizes the same core technology that the U.S. Military, Special Forces and Law Enforcement Agencies have been using in their operational firearm during training for nearly a decade.